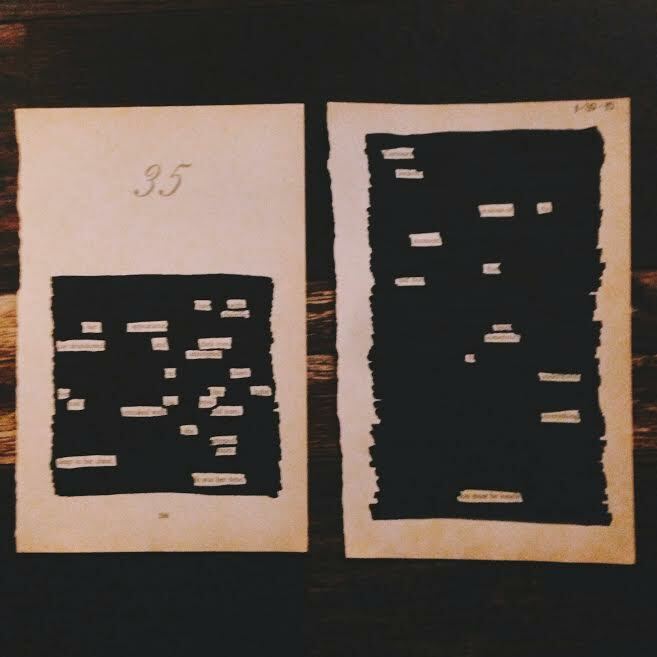 Redacted poetry is beautiful and is currently my favorite form of art. 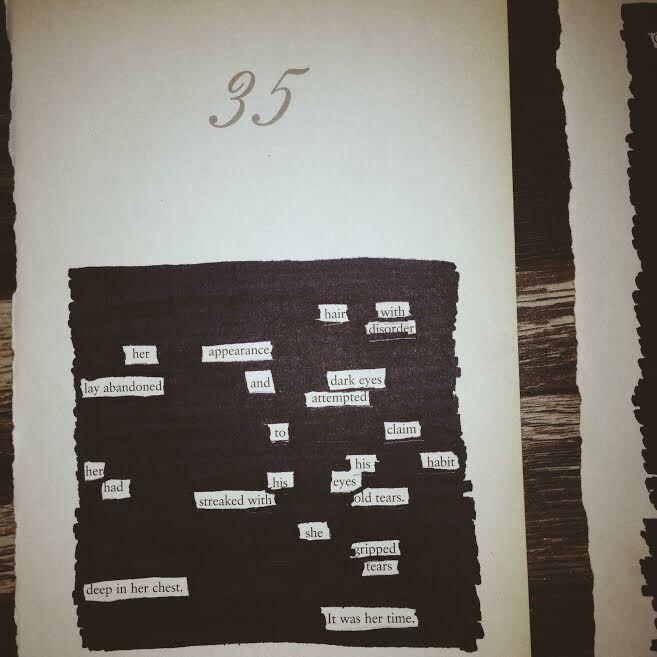 I just admire the nostalgic feel of this type of poetry. You are essentially taking something completely finished, putting it in the state of creation again, and creating something new and unique out of it. It’s like rehab for old, abandoned books. And all it takes is a fresh set of eyes, a sharpie, and a book! 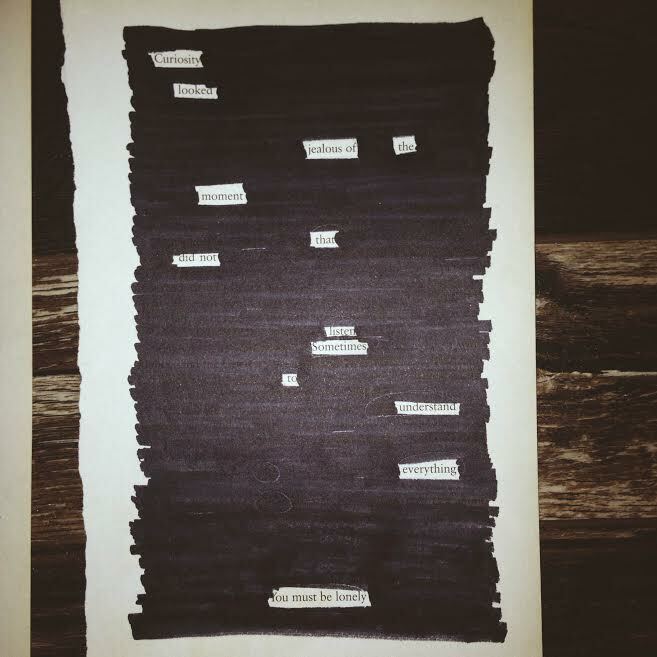 I want to see more creations of redacted poetry!